We've always said music was therapeutic. We’ve been telling you for years that music is powerful. It’s a part of our mission and it’s key to our community. 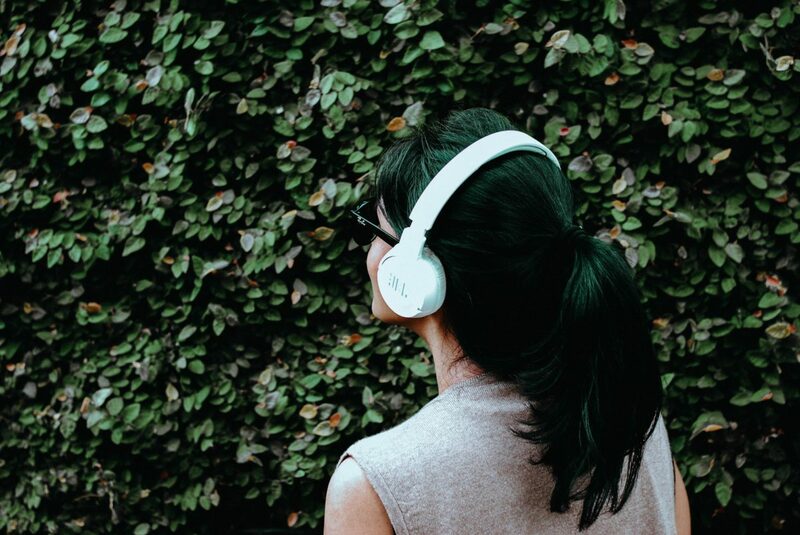 We can’t imagine a class without an awesome playlist, and we wouldn’t want to experience a dance party with our fellow bulldoggers without our favorite beats pumping in the background. Music can turn sad moments into happy ones, and it generally makes everything that’s already good even better. So when we started hearing about music therapy as a clinical field, we weren’t totally surprised (we feel the power! ), but we definitely wanted to learn more. We’ve tossed around the word “therapeutic” to describe music — in that it cheers us up and offers a great soundtrack for eating ice cream after a bad day — and knowing that it’s really really therapeutic piqued our curiosity. We spoke with board-certified music therapist Julie Lipson — owner of Philadelphia’s Inner Rhythms Music and Therapy Center — to learn more about this fascinating layer of the musical world! In this Q+A, they share more about their experiences as a music therapist and about the oh-so-powerful power of music. Q: How would you describe music therapy generally? Who does it help? What are the goals? A: When I’m asked what music therapists do, I like to ask the person to picture a typical talk therapy session. Music therapists do the same thing, except we use music in addition to talking! Maybe a client is experiencing depression or anxiety or is working toward a life change or goal. Perhaps the client is a child with cancer or an adult with autism. Music therapists work with anybody and everybody — we are trained as psychotherapists who also use music to help achieve goals and access healing. In my practice, I work with groups and individuals, including adults who are exploring gender identity, elders who have a dementia diagnosis, and adults who are experiencing mental health conditions, such as mood disorders or addiction. Q: How do you go about becoming a music therapist? What has your journey been like? A: Music therapists can practice at the bachelor’s or master’s levels, and they must be board-certified. I earned my master’s in music therapy from Drexel University. After I graduated from college with majors in women’s studies and ethnomusicology, my work has always been somewhat related to community, music, and healing. I actually quit music for a while and started the prerequisites to become a naturopath, but I missed the music too much! I was teaching community singing and drumming, and my adult students often brought me articles about music therapy. Once I realized what it was, I immediately saw that it was a perfect fit for me. Q: How have you seen music change lives? A: Before I knew what music therapy was, I was teaching a drumming class. One of my students came to class and told me that she realized how drumming was empowering her. She described how her husband often interrupted her, but that particular week, she called him on it! I was amazed that she was attributing her newfound strength to drumming, and then I continued to see similar stories over and over. These were the moments that led me to see the power of music and to want to become a music therapist. Q: Even outside of the “official” music therapy community, why do you think music is so powerful? A: The most powerful way that my clients use music is to cut through intellectualizing. You can talk cerebrally about your sadness and anxiety for hours, but until you interact with a song that really helps you feel that sadness in your body, that healing really can’t begin. Another amazing power of music is the way it affects the brain. When I used to run music therapy addiction groups in psych hospitals, I would watch patients feel “high” while playing instruments together. And it was true — they were getting high! The music was releasing the same chemicals and producing the same effect that they were used to getting from drugs or alcohol. It was often liberating and hopeful for these patients to realize that they could create positive sensations for themselves using music instead of drugs. Q: What else do people need to understand about music therapy? A: It’s not just for musicians! Music therapy looks different for each client, just like any therapy is tailored to the individual. Any given session might include listening to music, writing lyrics, or playing instruments. It doesn’t matter if you know how to play an instrument, because the focus is on expression, not any product or technique. Were you familiar with music therapy before reading this Q+A? Tell us on Facebook + Twitter!